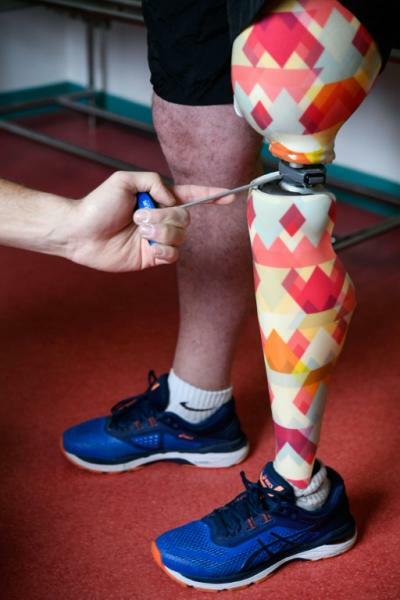 Two companies, Algo Orthopedie and U-Exist, have taken the lead in France and are trying to redefine the image of replacement limbs, which are manufactured from plastic resin and are usually skin-coloured. "A prosthetic worn with your granny's stocking is just ugly," said Alain Le Guen, an orthopedic surgeon and manager of Algo Orthopedie, which was created in 2004 in Brittany in northwestern France. "It has to be a bit of a work of art," he added, so that "people aren't shy about showing their leg." Le Guen believes that colourful prosthetics can help users accept their disability. His company has seen rapid growth in the past few years, with production increasing from just a dozen designer limbs in 2016 to around 50 now. Each limb costs between 25-26,000 euros (28,000 dollars) and is normally covered by the French public health system. Users of Algo's prosthetic limbs seem to take pride in them. Bruno Paul, 55, sports an artificial left leg with a yellow-and-orange diamond motif. Former metal-worker Paul lost his leg in 2016, nearly 20 years after an accident in a foundry which led to around 20 operations to try to prevent an amputation. "I don't have my leg anymore, so why pretend to still have one," Paul said. "I might as well accept my disability along with some colour." Evelyne Briand, a 56-year-old who had her leg amputated in 2007, chose a striped blue-and-white design. "The way people look at you changes when you have a coloured prosthetic," she said. "I've got another one in leather to go with my black dress." She had her leg amputated in 2007 after rupturing cruciate ligaments in her knee during a tennis match at the age of 25, which led to more than 40 failed operations. 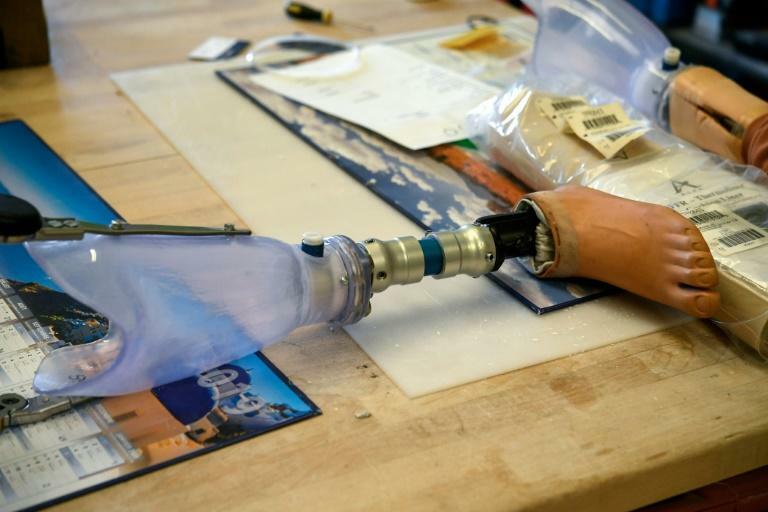 Another company, U-Exist, joined the competition in 2014 and trains prosthetic designers -- between 150 and 200 annually -- as well as manufacturing its own line of stylish limbs. "A prosthetic created to mimic the human body is frankly deceptive for the mind, not to mention that the appearance of a false limb can be troubling to other people," said Simon Colin, founder and director of U-Exist, to AFP. Colin, whose interest in designs for prosthetics dates back to research as a student on the impact of personalised prosthetics, is a fervent believer in what he considers a form of art therapy. Around 250,000 people use a prosthetic limb in France and around 160,000 of them are built each year, according to Colin.